It’s no secret that male voices outweigh female ones in conversations about film. Women write only 24% of reviews on Rotten Tomatoes, and they are mostly about films directly related to their lived experiences. Female critics have expressed frustration with only getting assigned women- or POC-centric films, which is not only limiting, but emotionally draining; because of the minimal number of marginalized writers, those with platforms are tasked with the hefty responsibility of speaking on behalf of all women or POC. And while hiring women to actually write about female-fronted films is encouraged, confining them to only these projects reinforces the idea that such stereotypically feminine movies are only watched by female audiences, and therefore not as profitable. There is also an expectation that female critics must positively review a film solely because it is helmed by a fellow woman; it makes them appear monolithic and one-dimensional, and gives them no right to truthfully critique a film for its merits lest they get labelled un-feminist. Being a marginalized critic means you are marginalized person first, critic second. While Rotten Tomatoes’ pool of top critics might say otherwise, there is actually no deficiency of non-white, non-male film critics. They are just not given an equally loud megaphone or equally ample opportunities (critic Kiva Reardon wrote an excellent essay on this for TIFF). This is why platforms like Reel Honey are game-changers—they provide a space exclusively for these underrepresented voices and allow them to participate in an industry that systemically keeps them out. 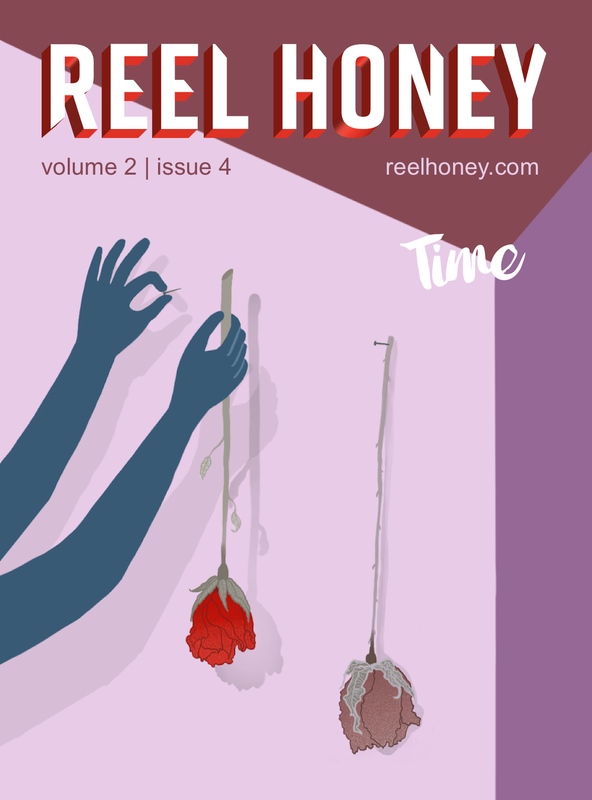 The cover of Reel Honey’s latest issue, Time. 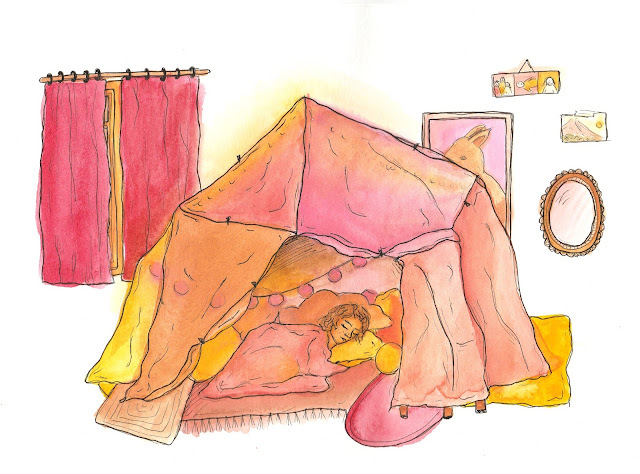 Illustrated by Nikki October. Launched in 2017, Reel Honey is an online film and pop culture magazine founded by Sydney Urbanek, a 23-year-old incoming Cinema Studies grad student based in Toronto. Aside from spotlighting the work of women and non-binary critics, the magazine also aims to strengthen these writers’ capacity for professional culture writing, equipping them with skills and experience to successfully permeate bigger (and therefore less diverse) spaces. Aside from managing Reel Honey, Urbanek is also a freelance writer for other publications like Screen Queens and Adolescent, where she discusses everything from films to pop music videos. I spoke to Urbanek about the conception of Reel Honey, her experiences as a young female culture writer, the flaws of the film criticism industry, and pursuing passions as a career, partly because it was in line with this month’s theme of “Break the Rules,” but mostly because I myself am a young female culture writer who is So, So Scared of my own industry. Read on for sound advice and insightful anecdotes that reassured me—and hopefully you as well—that we’re all in this together. Lithium Magazine: What made you want to create Reel Honey? What made you realize that you needed to amplify the voices of women and non-binary people in film and culture writing? Sydney Urbanek: I had started [writing] when I was in university. [I was] writing for my campus paper about arts and culture, generally speaking. But what I really wanted to write about was film, and I noticed when I was…I guess I would’ve been 19 or 20, that there weren’t lots of places to do that as an entry-level writer with not a ton of experience other than my campus paper, and ideally I wanted to be paid. That was happening at the same time as there was research coming out about how women and non-binary folks in film criticism tend to be—they exist in equal numbers, to be clear—but they’re less likely to belong to professional organizations [and] less likely to be staff writers as opposed to freelancers, so their work doesn’t get amplified the same way. So I basically put the two things together. That started me on a bunch of my own research, which was basically me surveying mostly young women who were my age about, if you were to write for a site about film and pop culture, how would you want it to work, what would you want to be paid, that sort of thing. Those were the two most prominent things that were happening at the time, but I guess there’s also one part of my story that hasn’t come up a lot in interviews until now, but that I’m actually pretty open about nowadays—in the second half of my undergrad, I started to have health problems. So as I got closer to graduating, it occurred to me that I probably, at the time, was not able to work a 9-to-5 job. I had already been working on this project, but when that happened, it took on a sense of urgency that hadn’t existed before, and that’s a huge part of what caused me to wrap up all of the pre-launch stuff and [have] it ready to go by the time I graduated. So that’s something that was like a secret, I suppose, until maybe last fall, and since then I’ve been pretty open about the fact that the health stuff was directly related to launching the site. Lithium: What were some of the challenges you faced in launching the platform and how did you deal with them? Sydney: Initially, there was a bit of a learning curve for me in terms of the editorial part of running the site, because I’d never edited any piece of writing in a formal sense; I’d only really proofread friends’ and classmates’ work. But that was something that got a lot easier over time, and [it] actually came down to the fact that I’m a big reader, so I edit like someone who reads a lot. If I stumble over a sentence that’s five lines long, or if I read something several times and still don’t understand it, it needs an edit. That sort of thing. Nowadays, though, the only real struggles are A. that I’m doing this by myself and B. because I decided from the get-go that I wanted to pay writers, that money has to come from somewhere. I’m a very organized person, and for the most part I’m good at foreseeing obstacles before they pop up, but I do lack a formal business background or education. As a weird aside, I used to be enrolled in a business certificate when I was in my undergrad, and I had a falling out of sorts with my university’s business school, which is funny, because when I’m interviewed, people want to know what it’s like to be a founder and how I do all of the behind-the-scenes stuff, and the truth is that my business acumen pales in comparison to my film background. That’s sort of it, for the most part—I had done a lot of the necessary research beforehand which made launching it easier. The biggest part, I think, is probably that I was really nervous, because it’s really hard to put something out into the world that you’ve worked on, and I’d be lying if I said that I wasn’t a person who cared what people thought. Looking back on it, I had no idea how I launched it. Like, I have no idea how I got myself to the point where I could launch it. Lithium: You mentioned earlier that you manage Reel Honey all on your own—how do you do that? How do you balance editing, freelancing, and school? Sydney: I’m a very Type-A person, so I’m a big list-maker. I live by my iCal—I am really good at making a schedule and, for the most part, sticking to it. That doesn’t work every day, and I don’t wanna make it sound like it’s a breeze...because that’s not true. But a really big thing that has helped me personally is just being more transparent and vocal with writers about the fact that I might be swamped at the moment with pieces and might not be able to respond immediately to a given email. I would imagine that lots of founders or anyone working on something, like me, don’t want to let people know that they’re having a hard time managing everything at once, and that’s not realistic. So it really comes down to my schedule, being open about the fact that I’m struggling if I’m struggling, setting boundaries—that includes work boundaries but also social media boundaries, which I’m kind of obsessed with at the moment—and just generally remembering that taking care of yourself is really important. Because I have health issues, [I have to] be more mindful about things like self-care, because burnout for me looks different than it does for the average person. Lithium: The other thing you mentioned is that you paid writers right from the start, and not a lot of starting publications do that; a lot of them start with volunteer writers and then they pay writers once they get bigger. With Reel Honey, you paid them immediately. Why did you prioritize payment from the start? Sydney: First of all, I actually think that sites of equivalent size to my own should make more of an effort to pay their own writers. I crowdfunded the money, and if you’re making sure that what you’re offering is well put-together, well-edited, and worth reading, I suppose you deserve money that you can pay your writers with. I’m someone who’s very lucky to have worked a few unpaid internships, and I’ve written quite a few things for free myself, but I don’t believe that that should be the norm across the board; it’s unfortunate that that is the norm. The other thing that had come up in my research, and [something] that was really important to me, is that not everyone in this world can afford to work for free. One of the biggest barriers [for] marginalized folks who are interested in film criticism or journalism is that financially, [it’s not enough to support them]. That’s one of the parts of the industry that systemically keeps these writers out, or discourages them from moving forward, so I was very conscious of that. I don’t pay a super impressive rate but I always have paid, and I think that has definitely helped make the site’s contributor base more diverse, and of course diversity is really great for enriching criticism as a whole. Lithium: Related to that, what do you think is the role of diverse film criticism in actually diversifying films? Sydney: What criticism does is enrich the reading of a film, so whether you read film reviews before you go into a film or after you’ve seen one, what it’s supposed to do is bolster or challenge your reading of that film. But if all of that enriching comes from a homogenous group of people, it’s not actually that enriched. There is a bit of a trap that celebrities have fallen into recently in interviews, which is arguing that we need more marginalized voices in film criticism because certain films are only made for certain audiences. While that sounds true on the surface, I think it was Buzzfeed’s Alison Willmore—whose writing I’m obsessed with—who said, basically that’s the same argument that angry young boys use on Twitter to tell her she has no business reviewing Suicide Squad. I’m not suggesting there aren’t movies made for certain audiences, but rather, the better argument for diversity in film criticism is that both criticism and the conversations around a given film improve when you have a variety of voices weighing in. One thing that criticism can do is amplify certain filmmakers’ work in a way that gets them more likely to be hired for their next project, and that’s really important when the filmmaker in question is marginalized. Two people of different lived experiences may read the same film two completely different ways; a good example is Green Book. It was the People’s Choice Award winner at TIFF and it was praised by critics and mainstream publications, and that’s because the critics who tend to be given those megaphones are, generally speaking, white. Once black voices were able to weigh in, the conversation shifted in a really crucial way. Of course the film did win Best Picture, but it’s important to note, I suppose, that it’s another white savior narrative; it’s the sort of film Hollywood loves to make and then congratulate itself for. Lithium: What advice would you give other young women and non-binary people trying to make it in fields that are usually perceived as not for them? Sydney: When it comes to criticism in particular, trust that you have something interesting to say and that you deserve to say it. Even when I was in film school—which was a really positive environment for me personally, in the sense that I could share opinions—I still felt like I had to be extra careful about every single word that I use, and I didn’t wanna out myself as being super into stereotypically feminine films, and looking back I wish I hadn’t done that. I’m actually writing an essay at the moment for a different site about how growing up, I used to lie about my movie preferences to boys that I had crushes on because I didn’t want them to think that I didn’t like the movies they liked. The biggest advice that I would give is to trust that you deserve to have your voice heard in the first place, but also brace yourself for the fact that not everyone might be ready or willing to listen to it in a respectful way. If you’re writing [your] first few film reviews and posting them online, and you’re getting a response that you don’t like, don’t be discouraged, because I assure you, it’s happening to everybody else that’s doing the same thing. Lithium: There are people who don’t pursue their passions because they’re scared that they’ll love that thing they’re passionate about less if they pursue it as a job—do you ever have that feeling? Sydney: I love that I wake up every morning and feel excited to start diving into whatever it is I have to dive into… But I should also say that part of the reason that I have been able to pursue passions in my career so far is financial stability, which allows me to have a safety net to fall back on. That’s a part of my story that I never want to downplay. There are lots and lots and lots of film critics who work a 9-to-5 job in a totally different field, and they can only write film criticism because they sustain themselves financially doing that [other job], and that’s okay. That doesn’t make you any less of a writer, it doesn’t make you any less of an artist—this is really true for any artist out there. Not every film writer is super open about the fact that they have money coming in from elsewhere in order to sustain themselves, but that’s a reality for a lot of people and it’s totally okay. 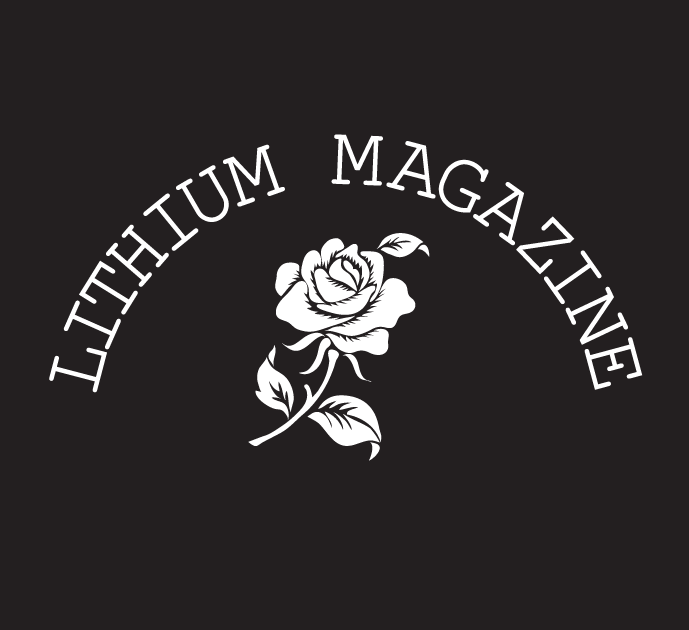 Lithium: What can you say are the downsides of pursuing passions as a career? Sydney: Probably that you take everything more personally. It also definitely becomes harder to turn off at the end of the day. I sometimes envied people who worked 9-to-5 jobs; they get on at 9 and off at 5, then they get to go home and not think about work. But when you write about film like I do, for instance, sometimes it’s hard to sit in a theater and watch a movie with your friends and not be thinking about an essay that you could turn the experience into. Work-life balance, for a lot of film writers, is nonexistent or something that you have to work extra hard to achieve. In my case, it’s turning on and off at specific times; otherwise I would never stop working. Lithium: To end, I know freelancers hate this this question, but what’s next for you and Reel Honey? Is there anything us readers should be particularly excited about? Sydney: What’s next for me is grad school, which I am super excited for. I can’t believe I’m being given a year just to dive into subject matter that I really love. Also, teaching has always been of interest to me, and that keeps that door open. Otherwise, I have some pieces that I’m really excited about writing, but I can’t give too much info about those at the moment. As for Reel Honey, that’s being decided right now because of the fact that I won’t be able to run it the way I have been for a whole year. That’s up in the air at the moment, the specifics that are being decided right now. I guess you’ll have to follow the socials and find out. You can read Reel Honey here, and follow its Twitter and Instagram. You can find Sydney on Twitter and Instagram as well.